It's 7:45am and the room is packed with 30 high school juniors and seniors. For non-teachers, it’s the stuff nightmares are made of – they’d eat us alive. But in this room, it's so quiet you could hear a pin drop and it’s not because they're sleeping. All eyes are intently focused at the front of the room. Ears perked. Welcome to Mrs. Shelton’s Class. Here, students are taught to think, not to mindlessly repeat – or “vomit” as this anatomy class likes to say – information they were just taught. The result? Full attention. Engagement. The method? Passion, trust, respect. And oh yeah, video. Critical thinking is, well...critical. And innovative teachers know 21st century standards require a 21st century approach. Together with BenchFly, the Shelton Class is learning the art of critical thinking and communication through video. Students focus each experience on their Audience, Role, and Technique, making sure all claims are backed up with solid evidence - just like a scientist! Ready to engage students? Just press record. "Mrs. Shelton’s class is awesome because she challenges us to do more than just repeat what we read in a book. She makes us think." BF - Is this the best time in history to be an educator? Shelton - Yes. When I consider what the modern classroom looks like - even compared to just 15 years ago when I started as an educator - it’s clear that we’re at an amazing time in education with access to new ways of teaching, learning, and sharing information that provide never before seen opportunities to our students. Marnett – Without a doubt. The amount of information available at students’ fingertips is incredible. As a result, I think we’ll see a continued shift away from memorization towards critical thinking and effective communication - two of the most important skills in life. BF - How did the ART of Video come about? Shelton - I'm a huge believer in providing my students with authentic experiences and audiences beyond the classroom. This encouraged me to use technology in new projects in order to make those global connections. Combining our experiences, Alan and I started bouncing ideas around for how we could use video to enrich student thinking and the ART of Video was born. Marnett – Educators, like researchers, love acronyms. We briefly considered “Audience, Strategy, and Style” as the key points, until we realized there was no way we could serve that up to a room full of high school students. In all seriousness, it grew organically out of our shared passion for using technology to facilitate learning. BF - Have there been any unexpected surprises? Shelton - Because of some of the specific experiences we've created, I’ve learned much more about each student personally, which has been inspiring. Marnett – I wouldn’t necessarily say it's a surprise, but the creativity and technical prowess of today’s high school students amazes me. BF - How have your students responded to the ART of Video? Shelton - I’ve been really proud of the courage and trust my students have displayed in embracing the program. Now filming days are a big deal in the classroom and everyone looks forward to them. Marnett – I was lucky enough to participate in Tricia's class on a filming day and you can tell the students are engaged and excited by video. The energy is palpable. BF - Mrs. Shelton, you’ve been very adventurous about technology in the classroom, would you call yourself a technology geek? Shelton - You know, it's funny. I've never really been very technologically savvy, as my family will tell you. But at some point last year I realized the importance of the available technology in leveraging student thinking and learning. I made it my mission to dive in and learn how we can use the available tools in the classroom. Beyond BenchFly, my classes actively use Twitter and Google to engage and learn from other students, educators, and professionals. So I guess I'd say I'm on my way to being a proud technology geek! BF - Where does the ART of Video go from here? Shelton - Part of my mission is to extend our learning beyond the four walls of our classroom to let students see that they’re connected to a global audience. As we continue to develop the program, we look forward to using video to engage other classrooms, scientists, and people who love to learn from around the world. Marnett – Much like scientific research, I don’t see the ART of Video ever being “done”. Incorporating feedback from students and teachers in real-time will force the program to evolve in search of ever improving student performance. Sharing is caring. Support the Shelton Class! Click the button above to tweet your support for the Shelton Class. Click the button above to show your support by sharing the Shelton Class story. Check out Tricia Shelton on Twitter to follow the latest classroom and educational news. 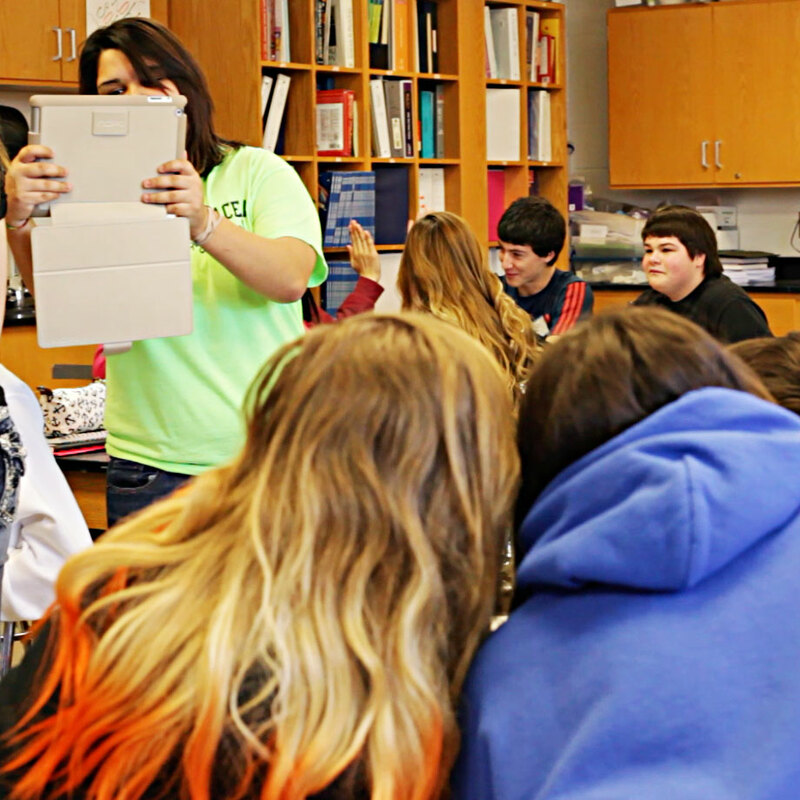 Learn more about the ART of Video and other classroom topics on Tricia Shelton's blog. 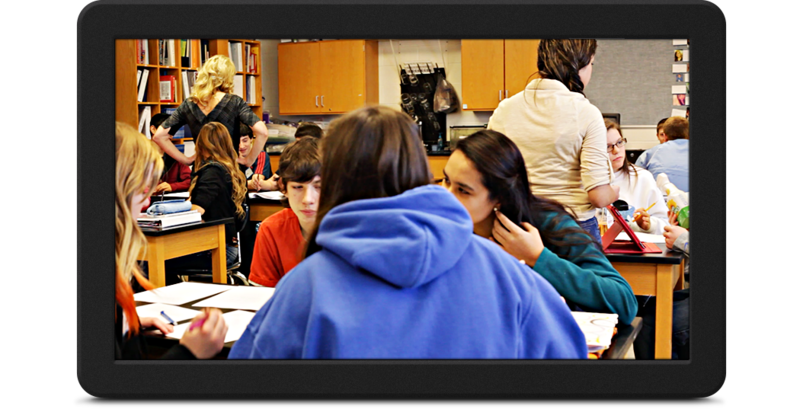 Want to bring the ART of Video to your classroom? Simply click the button above to get more information.